The Rubber Cafe Design Team Blog: How Are You? Kristine here with my second card that I made using the April Creative Cafe KOTM - Petticoat Fashion. I used both of the stamp sets for this card, the main stamp set Hello, World and the add-on stamp set, The Greatest Gift of Life. Here is the front of my card. ohhhhh.....that's because you didn't open it yet! Look at that beauty! Who wouldn't love to receive this fabulous fun fold card? I was inspired to create this because of a tutorial I saw on Splitcoaststampers but I'll recreate what I did here for you. Start with a 8" by 6" panel of cardstock. Use your Scor-Pal to score the panel at 2", 2 1/8" and at 6 1/8. Cut another piece of cardstock measuring 6" x 8". Score at 3/8" on each side of the panel. Then measure 1/2" from the scored edged and 1/2" from the long edge and cut to create a frame. Add Scor-tape to the sides of the edge you scored. Fold the edges of the frame on the score lines and adhere to the card as shown below. 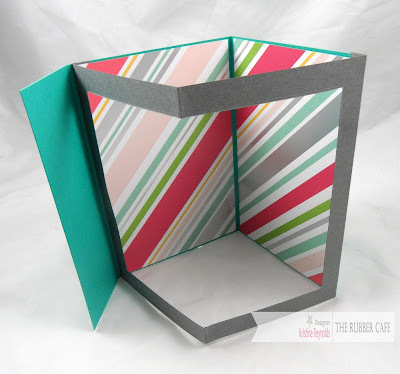 Fold the frame inward so that the card will close. Open it back up and pop the frame out. 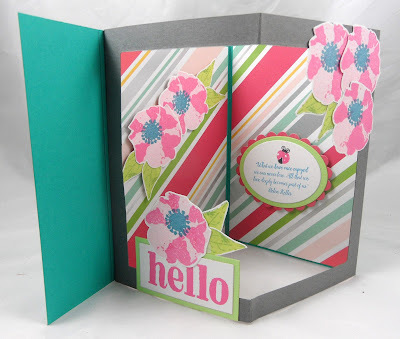 Stamp multiple flowers and leaves and the hello sentiment with Memento dye inks. Stamp the sentiment and ladybug on a white die cut oval. Back with more die cut layers and adhere to card with foam. Add flowers and leaves to back panel with foam. Add paper panels to the front and tie on the ribbon. Finally, create a banner panel and stamp the sentiment on it. That's it...a beautiful, fun fold card that is sure to be cherished by the recipient! 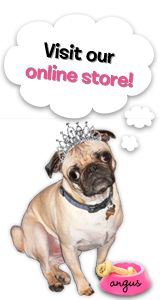 Stamps: The Rubber Cafe'- Petticoat Fashion Hello, World and add on The Greatest Gift of Life. Ink: Memento Dye ink pads in various colors. Any ink will do.